Apple notes helpfully, “These cables are not currently available from Apple.” Alas, the USB-C cable that comes with the MacBook only supports USB 2.0 data rates for syncing, and USB 3 is apparently required. The two cable types Apple mentions are both so-called SuperSpeed or SuperSpeed+ cables. USB 3.0 offer a top 5Gbps throughput rate, and is marketed as SuperSpeed with an SS on the cable head. 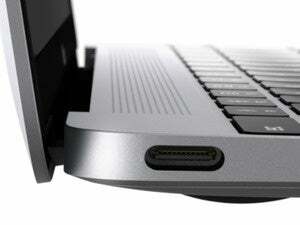 The same rate is incorporated into USB 3.1 as Gen 1. Gen 2 USB 3.1 offers 10Gbps rates (as SuperSpeed+ or SS+), but only on equipment that’s configured for it. 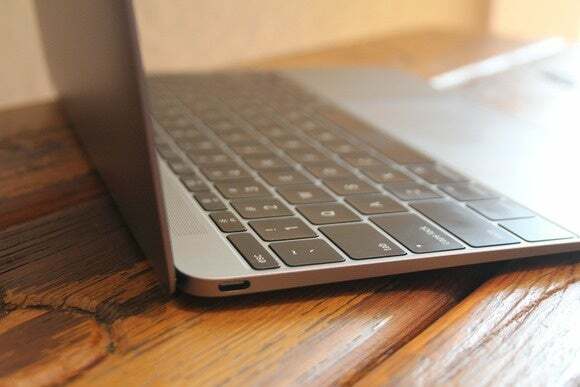 The MacBook is a Gen 1-only device, but can use any previous generation USB 2.0 or 3.0 cable as well as SuperSpeed+ cables.